Members of the medical marijuana industry have come out against ballot initiatives in two states that would allow consumers over the age of 21 to legally purchase and consume small quantities of marijuana for recreational use. Washington State’s Initiative 502 and Colorado’s Amendment 64 would regulate pot similarly to alcohol and tobacco, according to their backers. In Washington, even home growers producing for personal use would have to seek a license from the state liquor board, and consumers would be allowed to possess only an ounce at a time. Colorado’s initiative would have the same possession limit, and would allow home growers to have up to six plants. The bills, in other words, don’t treat pot exactly like alcohol, of which a consumer can own as much as he likes and brew at home without a license, but they’re being sold by their proponents as better than the status quo. For some medical marijuana activists, better than the status quo is not good enough. This measure would remove state-law prohibitions against producing, processing, and selling marijuana, subject to licensing and regulation by the liquor control board; allow limited possession of marijuana by persons aged twenty-one and over; and impose 25% excise taxes on wholesale and retail sales of marijuana, earmarking revenue for purposes that include substance-abuse prevention, research, education, and healthcare. Laws prohibiting driving under the influence would be amended to include maximum thresholds for THC blood concentration. Gil Mobley, a Washington physician who owns a medical marijuana clinic, created Patients Against I-502 to oppose the initiative. The name has since been changed to No on I-502. It sums up its opposition to the bill simply: "I-502 is not legalization." It simply creates a legal exception for possession of an ounce and a few other minor cannabis related crimes. Under this initiative it would still be illegal for individuals to grow any amount. 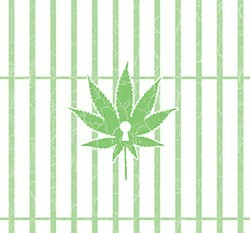 In addition, hemp would still not be explicitly legal, passing a joint would still be felony distribution, and a new form of prohibition will be introduced that will cause cannabis consumers to be wrongfully convicted and imprisoned (the per se DUID mandate). 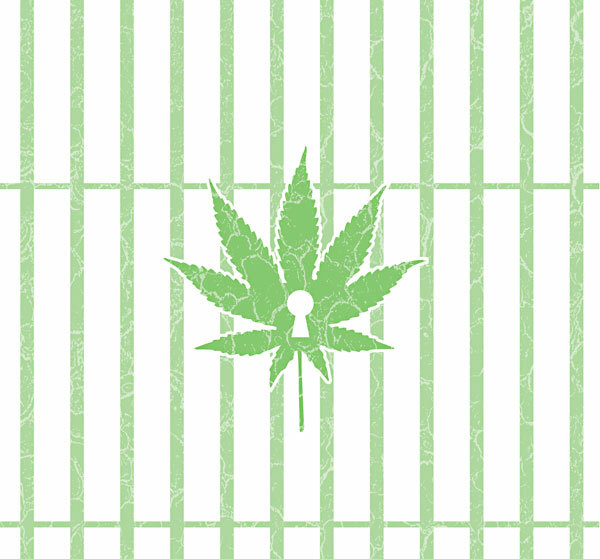 People under 21 have the potential to be convicted of a DUID simply for being in the presence of cannabis smoke for an extended period of time. Beyond this, the entire distribution system will be federally preempted (rendered invalid in court) due to the fact that it creates a positive conflict with our federal Controlled Substances Act (you can’t force a state to accept taxes from a federally illegal substance). Of course there are some bad apples that only care about profit, but they are usually weeded out (no pun intended) by patients themselves and market forces. Others are able to turn a tidy profit while still providing a valuable service to their patients. This is America. What is wrong with wanting your business to make money? As long as no one is being exploited, particularly patients, who is getting hurt? This is the only industry that is being punished by the federal government for being too successful. When people lump all members of the industry together, it makes it that much easier for prohibitionists to dismiss calls for policy change and gives the feds carte blanche to shut them all down because they are just ‘greedy drug dealers’. In terms of politics, I would have to say that when it comes to the opponents of I-502 within the marijuana industry, there are certainly some that are looking out for their own financial interests, while others don’t necessarily understand the initiative. Still others simply don’t care about full legalization and are convinced that they will lose their driving privileges, or think that this initiative is too restrictive in one way or another. It is unfortunate that some within the industry do not realize that the best way to ensure safe and affordable medical access for patients is to remove criminal penalties for all adults, or that they will continue to be able to make a living under a taxed and regulated legal framework. That does not make the whole industry a sham. “We still have plenty of growing pains on the medical side on the local, state and federal levels,” he said. “Moving forward with the retail model for recreational use, I’m not sure where we sit. I don’t want to go to federal prison." The sense I get from some activists is that internecine fighting over the best way to make marijuana fully legal at the state level is a) limited to big-time activists and players in the medi-mari industry, not medical or recreational users; and b) bad for the movement. And yet it seems as if the reform movement can’t progress until it addresses opposition from protectionists in the medical marijuana community, as well as people who want better protections for recreational users and home growers. A failure to address that first concern led growers in Trinity, Humboldt, and Mendocino counties to vote against California’s Prop 19 in 2010, and the inability of I-502 advocates to thoroughly address No on I-502’s complaints—the DUI aspect, the penalties for sharing marijuana—may seal the initiative’s fate long before November. "Every recent poll except one has shown most Washington voters are now ready to pass the initiative," Holden writes in his op-ed. "But support has slipped since last fall, down to only 51 percent, according to SurveyUSA. The flagging enthusiasm correlates with the escalating effort to stop the initiative."